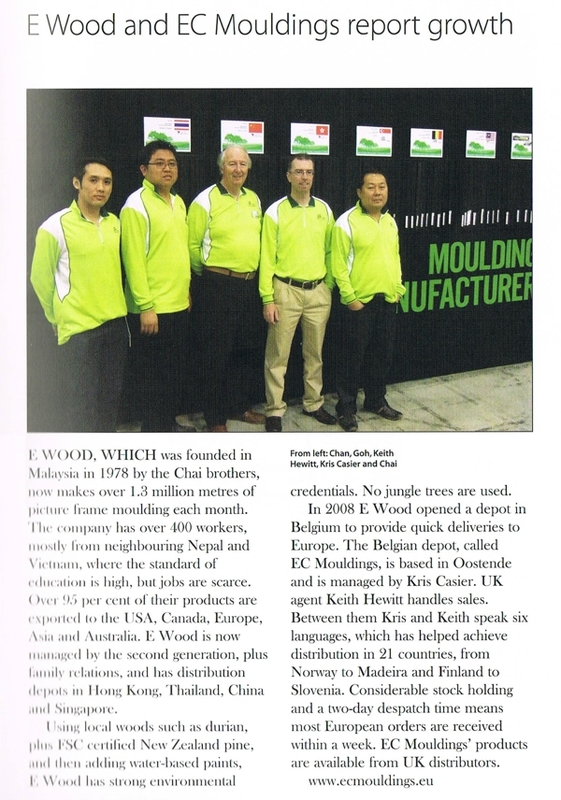 E-Wood and EC Mouldings report growth... This article describes the success of our European warehouse and the advantages for the European distributors. 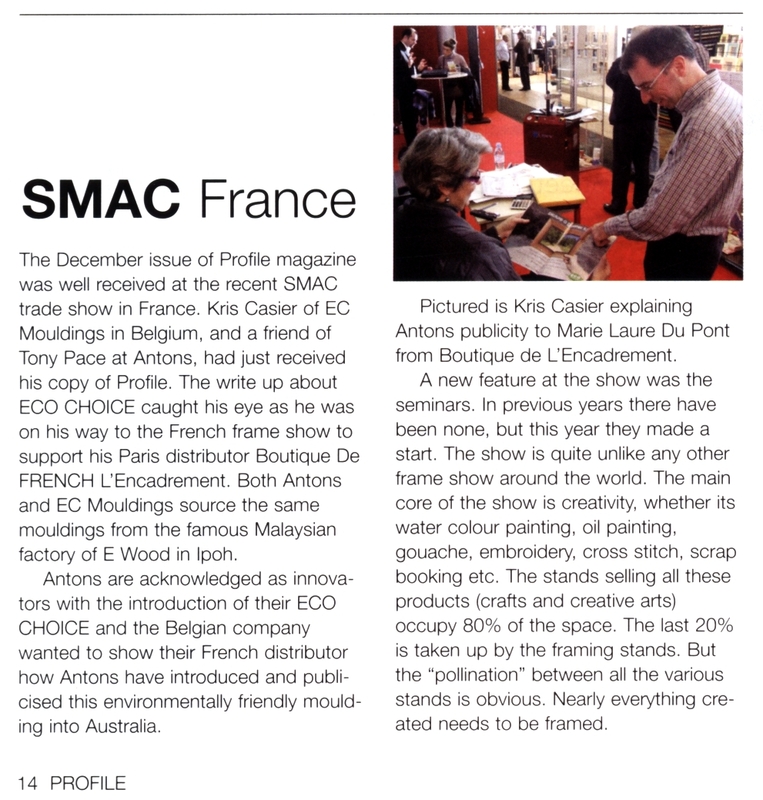 A brief article regarding the SMAC show in Paris. 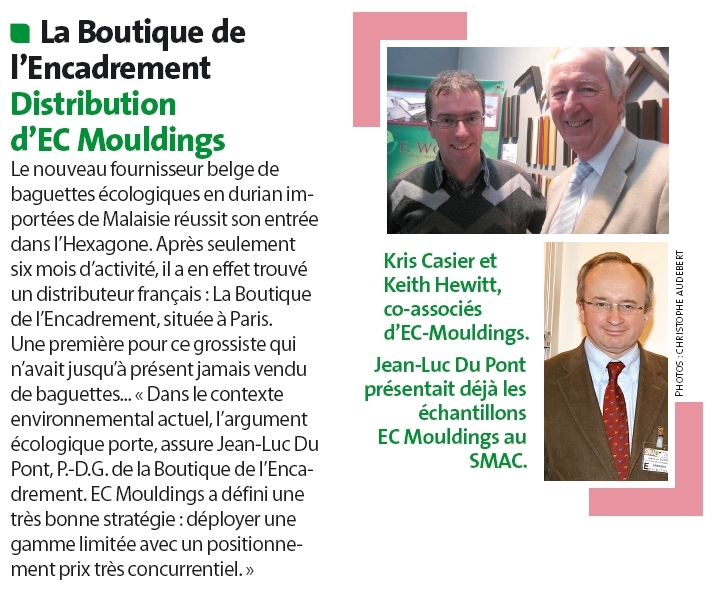 The marketing strategy of Antons Mouldings (Australia) for selling E-Wood's environmentally friendly mouldings is explained by Kris Casier to Marie-Laure du Pont of Boutique de l'Encadrement - our French distributor. The French picture framing magazine l'Art Plein Cadre published an article about La Boutique de l'Encadrement - our new French distributor. Based on the huge success during the SMAC show in Paris, La Boutique de l'Encadrement will distribute the full range of EC Mouldings on the French picture framing market. Are you interested to register for l'Art Plein Cadre? You can find all the information here. 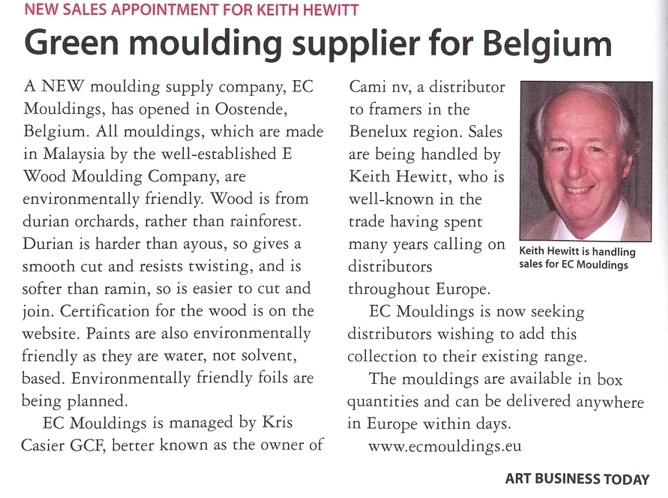 The French picture framing magazine "L'Art Plein Cadre" and the British "Art Business Today" published in their February editions a nice article about our environmentally friendly mouldings. Please click on the pictures below to read the article.